I’ve had a rule at Queen B for the past decade which is that having access to someone’s inbox is a privilege and if I don’t have anything befitting that privilege to say, then I stay quiet. It seems to breach every currently practiced law of marketing, but then again I’ve always marched to the beat of my own drum… Funny, I just caught myself out… I was about to say “I don’t like to follow rules” but if you saw the list of rules that I live my life by you’d laugh. Let’s just say that my rules are a bit different to normal business rules! So, why the blog post then? Two reasons… firstly, the volume of emails and calls from you guys checking in to see whether I was OK has been escalating! (heartening to know you care). Secondly, we’ve been doing a big clean up from last year and “Second’s World” at the hive is full and needs emptying. And that means there are some bargains to be had. Sure, I promise (again) to only write when I feel I have something interesting and/or edifying and/or relevant to say BUT in truth I think I was just having a bit of trouble getting back on this horse. Now that I’m here, I’m wondering what I’ve been fussing over. It’s great to be back. May 2014 be happy, healthy, fun, filled with laughter and may it be filled with the beautiful light that nature provided for us in the guise of beeswax candles. (Belated) happy new year loved ones. Hopefully we make perfection in a beeswax candle look effortless at Queen B… the reality, however, is that whilst we may look beautiful and graceful above water, below the surface we’re going like the clappers. 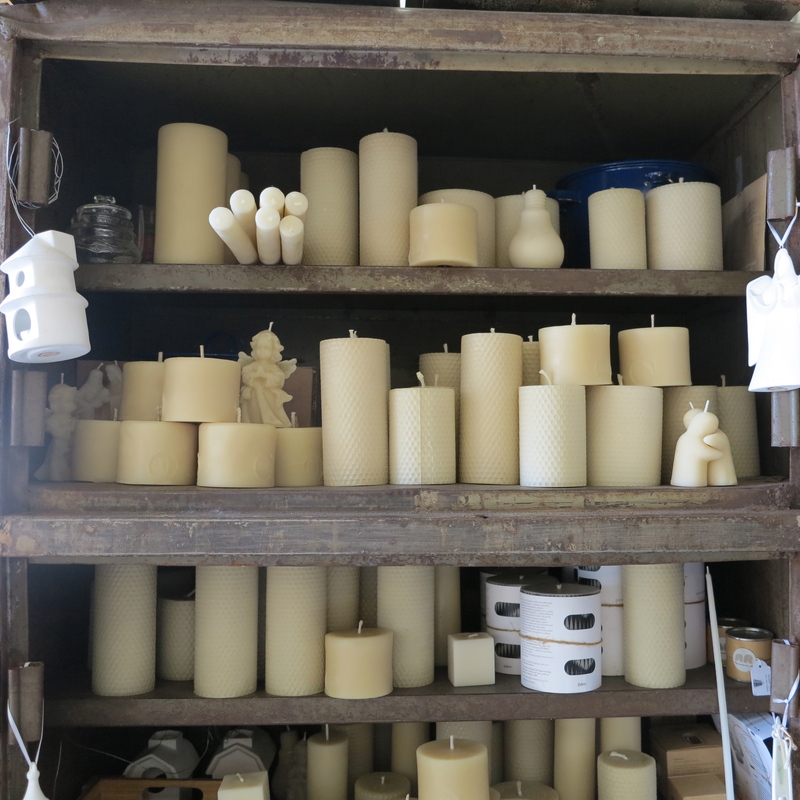 The training process at Queen B is long and rigorous and there are a LOT of candles rejected along the way. One’s that won’t burn properly get melted down again, but there are many with slight blemishes that will burn perfectly and wear their ‘scars’ with pride! They go in to ‘Seconds World’ – first place that most visitors to the hive go. For the next 48 hours (or until we sell out) we thought we’d open it up to our loyal fans that can’t make it to the hive. 2. 3 x 15cm Narrow Pillar – Honeycomb – 20% off… these one’s may lean a little or have a top which isn’t perfectly flat (and I am a bit of a perfectionist, so often the flaw may not even be visible to you). Approximate 50 hour burn time each. 4. 4 x Burning Love candles – 25% off… these are surprisingly tricky to make and are for the realists… for those with slightly flawed relationships… with scars and blemishes… with slight cracks, a slight hole in the head or a marginally bruised arm (we’ve discounted them accordingly… and funnily, they’re a favourite amongst customers who visit the hive)! 6. 3 x 10cm Medium Hand-rolled Honeycomb Beeswax Pillar Candle – 20% off… these one’s may lean a little or have a top which isn’t perfectly flat (and I am a bit of a perfectionist, so often the flaw may not even be visible to you). Approximate 50 hour burn time each. The road to perfection is littered with experiences that make us who we are.